Moroni’s imitation of life applied as well to the sitters’ clothings and attributes. 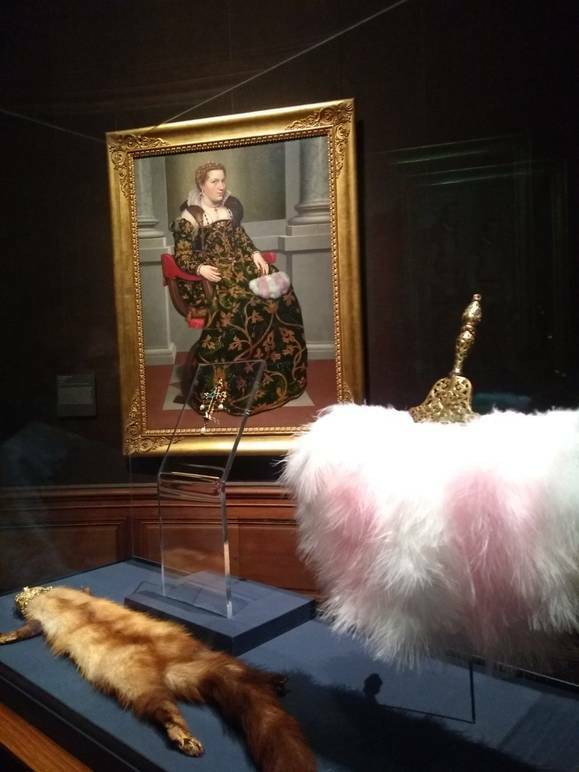 For this reason, the curators decided to display the paintings alongside Renaissance jewelry, armor, and other luxury goods. 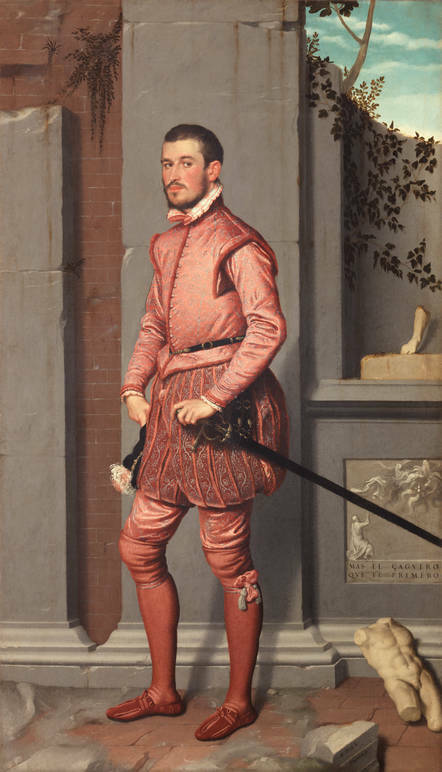 Giovanni Battista Moroni (b. 1520-24; d. 1579-80) painted his sitters exactly as they appeared before him - no artistic or idealized filters applied. The Frick Collection is the first museum in North America to present a major exhibition devoted to the 16th-century artist famous for his naturalistic portraits but almost unknown in the US. Giovanni Gerolamo Grumelli, called The Man in Pink and dated 1560, has a very contemporary face and expression. It were not for his sumptuous outfit of brocaded silk with silver wire, he might look just like an average Italian young gentleman posing for a social media shooting. 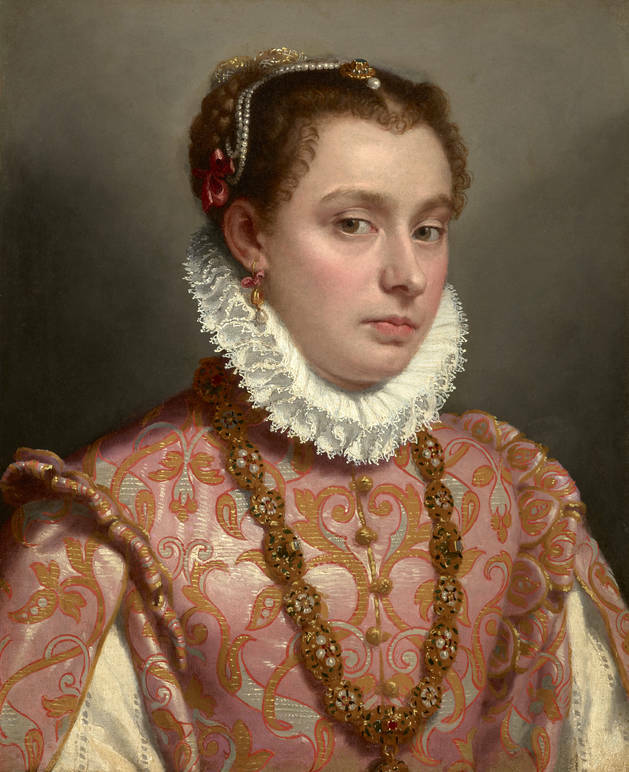 It is one of the nearly two dozen portraits by Giovanni Battista Moroni displayed at the exhibit “Moroni: The Riches of Renaissance Portraiture” (February 21 through June 2). This exhibition is a unique opportunity to view the spectacular works that attest to Moroni’s mastery of portraits and naturalism in depicting his subjects that, to our modern eyes, might look as real as Instagram selfies. The sitters are not idealized and often their facial expressions reveal their personality and psychological complexity. Critics have, at times, disapproved the artist’s faithfulness to reality dismissing him as an uninventive portraitist who was forgoing selection, editing and respect of aesthetic ideals. This notion together with the fact that the artist spent his entire career in and around his native Bergamo, in the Northern region Lombardy, compromised his fame. Moroni never became famous as other contemporaries who worked in major artistic centers, including Titian in Venice and Bronzino in Florence, yet he innovated the genre of portraiture in a remarkable way. He invented the so-called sacred portrait, created the earliest independent full-length portrait of a standing woman of the Italian Renaissance and, with his famous Tailor (ca. 1570), anticipated the narrative portraiture for which Rembrandt became known. 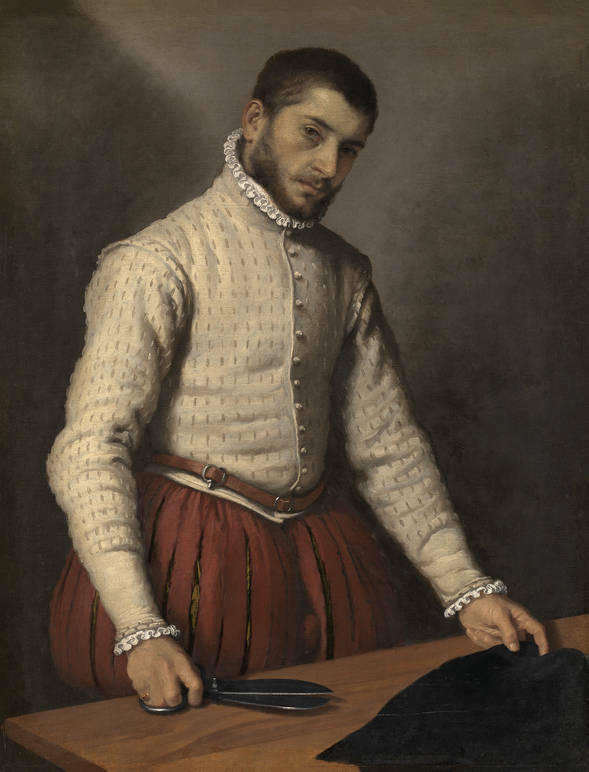 Moroni’s imitation of life applied as well to the sitters’ clothing and attributes. For this reason, the curators, Frick’s Associate Curator Aimee Ng with Simone Facchinetti (Curator, Museo Adriano Bernareggi, Bergamo) and Arturo Galansino (Director, Fondazione Palazzo Strozzi, Florence) decided to display the paintings alongside Renaissance jewelry, armor, and other luxury goods. Both paintings and objects are borrowed from international private and public collections including the National Gallery in London, the Accademia Carrara in Bergamo, and the Kunsthistorisches Museum in Vienna. 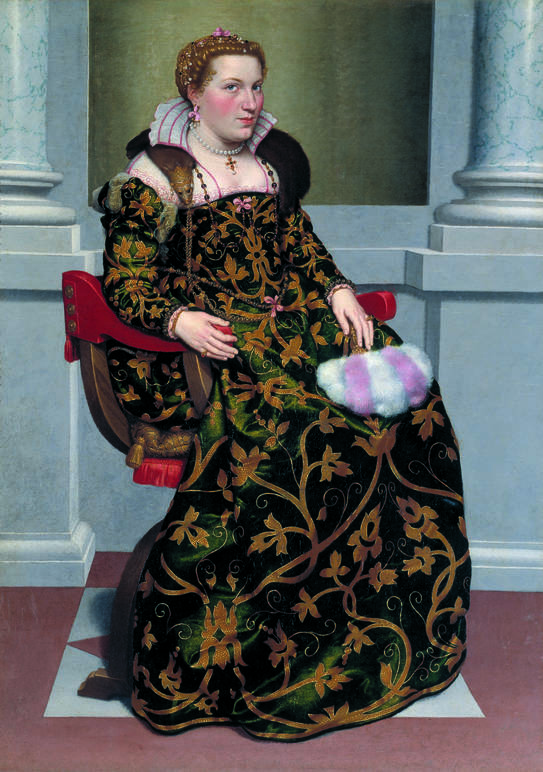 Curators Galansino and Facchinetti had already contributed to Moroni’s reevaluated reputation with an exhibition at the National Gallery in London in 2014. “It was a great success and the reason why we have been contacted by the Frick Collection,” says Facchinetti. Moroni’s clientele included local nobility and aristocracy as well as members of literary, mercantile, and clerical circles. Nearly one hundred twenty-five of his portraits survive. 11 am to 5 pm Sundays.